RUTHERFORDTON, N.C. -- Officials in three Western North Carolina counties have all received reports of an earthquake Saturday morning. People in McDowell, Buncombe and Rutherford counties all reported feeling the tremor. 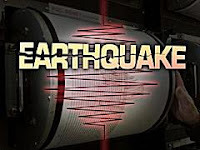 The U.S. Geological Survey reported that a 2.8 magnitude earthquake hit at 6:03 a.m. The USGS reported that the quake was centered near Rutherfordton, that’s near Lake Lure in Rutherford county.